Grilling Planks, meet Beer. Beer, these are the guys I told you about. It is the classic griller-men dilemma, eat the food now or pick out the proper drink to complement your grilled choice? The correct answer for you now is pick the proper drink. I’ll hold your hand through it. 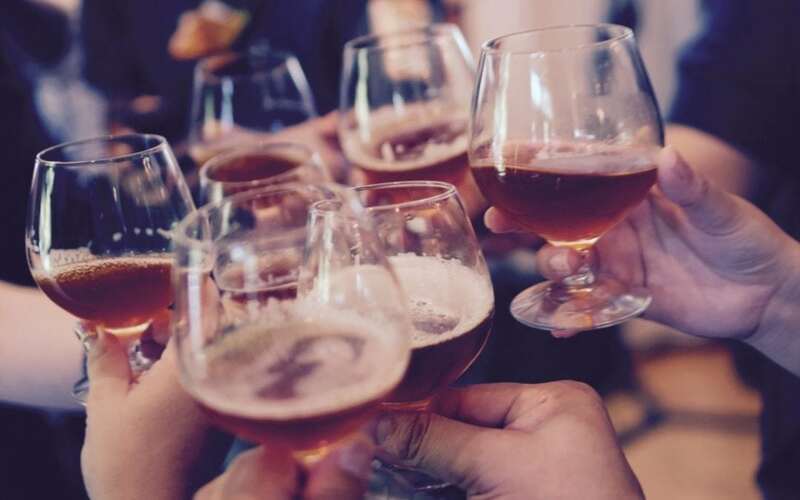 It is known that certain beers pair well with food already, but to get the perfect beer with your food you need to take into consideration the type of wood that you are choosing as well. This may sound like a bunch of confusing mumbo jumbo, but it is really quite easy. The most important factor in this guide is that you come out with a beer in your hand and a grill whose contents will match that beer in such a way you’ll think to yourself “have I really been in the wrong for so long?” Just kidding, we just want you to know that you can increase your food’s potential by taking a second or two longer in the beer aisle at the store. Shakespeare once said “For a quart of ale is a dish for a king.” So imagine what possibilities there are when you combine beer and food. We want you to eat like royalty. Now we can get down to the meat and potatoes of the article. Since you’re eating a meal fit for a king, keep in mind these easy rules. Beer and wood go way back, even breweries today make smoke flavored beer. Someone’s onto something. 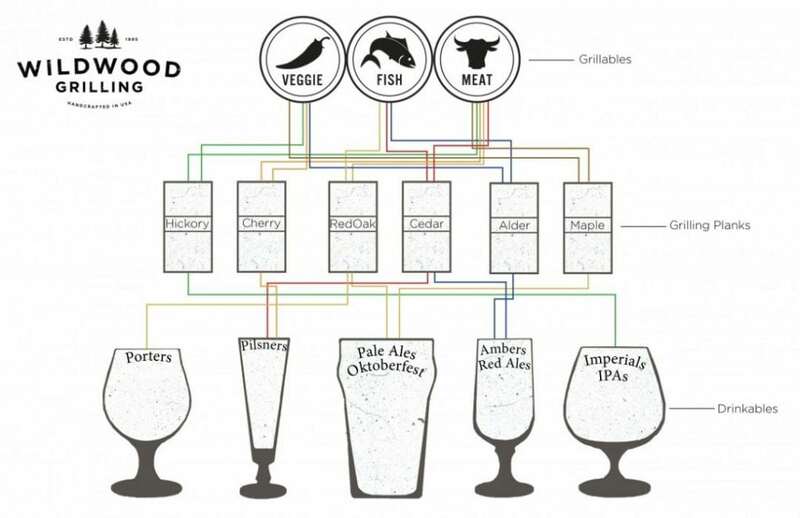 Here is our guide to make you the plankmaster and beer connoisseur you always wanted to be. You have the basics now a few extra tips. When you have to grab your 6 pack on the fly. The higher the bitterness (IPAs, Imperials, Barley) go well with spicier foods. The less bitter a beer (Pilsner, Blonde ales, Hefeweizen, Doppelbocks), the better it pairs with lighter foods. The best way to tell if you don’t know all the differences is, of course, color – lighter usually means (you guessed it) less bitter and the darker you get so on and so forth.